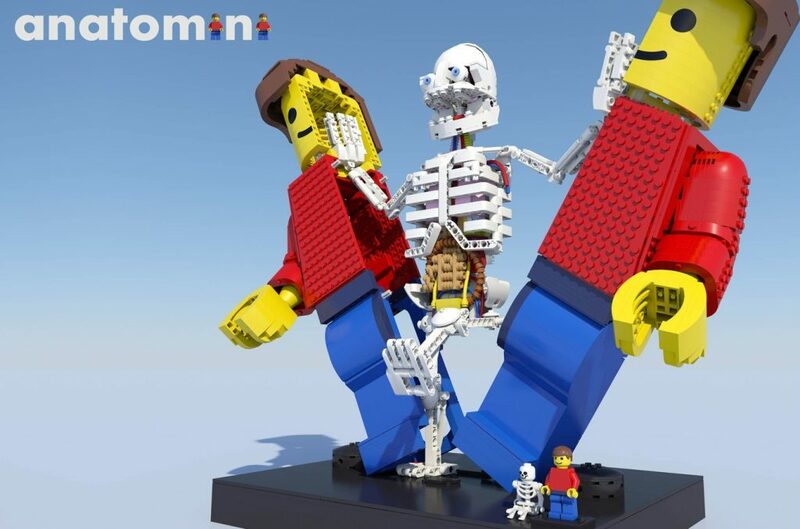 The latest LEGO Ideas project to reach 10 000 supporters is Anatomini by Stephanix. Congrats! The creation is a model of a human being while on the inside, it features skeleton elements. It is based on a 10:1 scale of the minifigure body and is built with all LEGO elements. You can learn more about the project on the LEGO Ideas webpage. Anatomini has, like humans, an anatomically correct skeleton with its main organs and blood vessels captured in a 10:1 scale minifigure body. All built with standard LEGO bricks. The skeleton can smoothly be revealed by sliding the outer body parts to the left and right. What is the most incredible machine in the world? It is closer than you think: it’s you! Ever wondered how this machine works by only adding fast food, soda drinks and polluted air? Imagine YOU, each teacher and doctor has Anatomini on his desk: Biology will not be boring or scary anymore. So don’t hesitate to share Anatomini and let’s go viral (to keep it in biology terms). Just like the design of your own body, Anatomini has evolved into a complex being. With its 2128 bricks it will be a challenging build. Next to that it will also be a fun and learning experience about yourself. A variety of techniques is used to bring him or her to live. The skeleton is mainly made of Technic bricks to bare the weight and to protect the delicate organs which are made of smaller bricks and hoses. The sarcophagus is made of solid bricks to make it stand by itself, but also has interesting techniques in the head, arms and back of the pants. Anatomini has a high educational value. It’s fully posable, while organs can easily be removed and placed back for learning purposes. It’s anatomically correct with the bones and main organs in the right spot, in the right size.